Milwaukee Babywearing leaders and volunteers run and coordinate events, update website content, admin duties of the Facebook page and group, and other behind-the-scenes action, while trying to ensure our growing and evolving community’s needs are being met. Interested in possibly volunteering?? We’d LOVE to have you! We provide all the training, and only ask a small commitment of your time. And you can bring your kids! Contact us for more information. Amanda helps with both the North and Evening meet-ups. 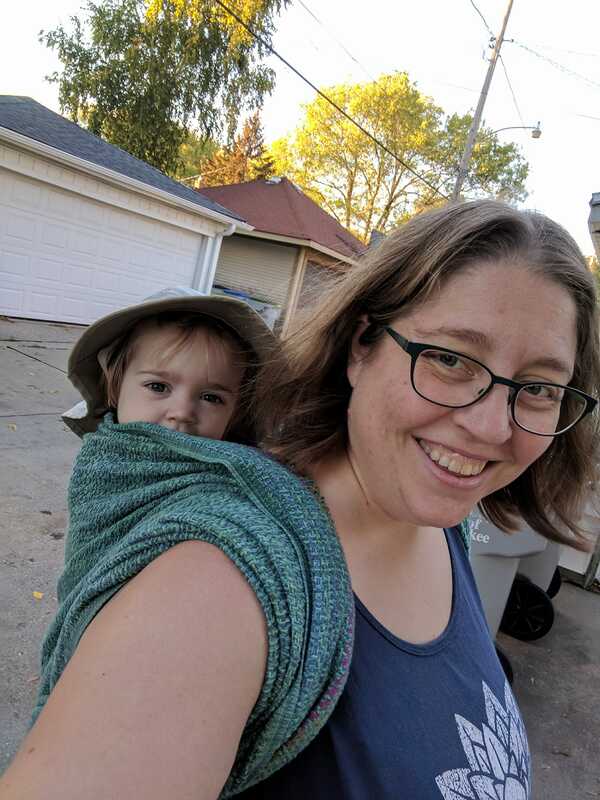 She has been babywearing since her first daughter was an infant, using a Moby, and now enjoys using woven wraps, meh dais and SSCs to tandem-carry her twins. She is also a sales consultant with Perfectly Posh and Premier Designs jewelry. 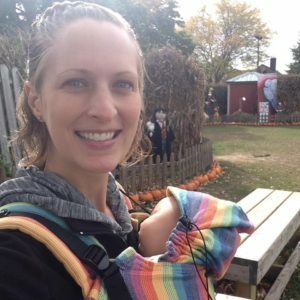 Addie attended her first Milwaukee Babywearing event in 2015 with her husband, when their daughter was only 3 days old. 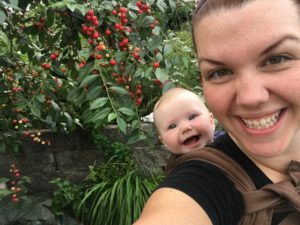 She’s excited to help fellow parents and caregivers expand their worlds through confident babywearing (and hands-free snuggles!). She leads the South meet-up, helps teach Safe Babywearing Practices, attend evening and weekend meet-ups, and helps maintain the website. She also loves creating, and has made plenty of babywearing carriers and accessories. If you have any DIY questions, send them her way! 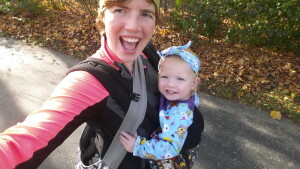 Becky is Milwaukee Babywearing’s Treasurer and one of our Babywearing Educators who enjoys babywearing her toddler. Her favorite carrier is the ring sling and she’s also used woven and stretchy wraps and is currently experimenting with Meh Dais. Lindsay has been babywearing since 2016 when her daughter was brand new. Her first love was the meh dai, but her true love is the woven wrap. Come meet her at our Woven Wraps Class. Toni is 25 years old, with a 11-month old daughter. She still considers herself a new mom, and loves wearing her daughter any chance she gets. She’s a fan of stretchy wraps like a Moby, her Ergo buckle carrier, and ring slings, with her favorite so far being a WildBird ring sling. Kayla has three children and has been babywearing since 2012. By day, she’s an elementary German teacher. She can be found helping with weekend events– Safe Babywearing Practices and Woven Wraps Class. Her favorite brands are Lenny Lamb and Tula. She enjoys cooking going to sporting events, crafting and sewing. 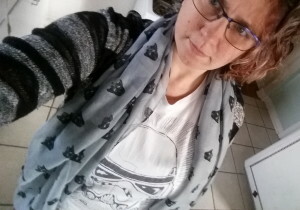 To check out her crafty creations and sewing projects (many of which are babywearing-related!) visit her Facebook page, Sewn By Kayla. Kate has been babywearing since her son was born in 2013. In 2017 she welcomed twin daughters, so needed to quickly up her babywearing game. She loves to wear her girls daily, and can often be spotted running around town with a baby strapped to her front and back. Besides babywearing, Kate enjoys baking, crafting, fine art, spending time outdoors and gardening. She can be found at the South meet up. 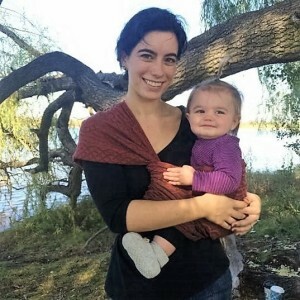 Jessica started babywearing when her first child hit 8lbs per the manufacturer instructions. Jessica didn’t know much about babywearing when she started but quickly start learning about the different carriers and styles since her baby wanted to be held and carried constantly. 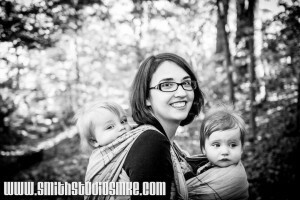 Jessica can be found teaching Babywearing Basics, leading the North meetup, and occasionally teaching at Woven Wraps Class. She is also an independent babywearing consultant with Close to the Heart Baby. For a personal consultation, you can check out her Facebook Page and website. Dana has six children and has been babywearing and involved with our organization for many years. 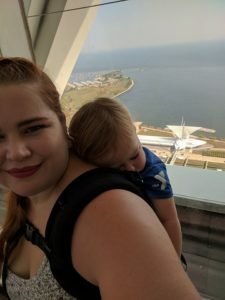 She performs a wide variety of administrative duties for MBW, assists with the South Meetup, teaches Safe Babywearing Practices and provides invaluable insight. She is also co-chair and board member for the Care Network. Ana has 2 children and has been babywearing for almost 10 years. She’s been involved with our organization for many years as well. As a Doula, Lactation Educator, and infant care specialist she has a passion for all things birth and baby. You can find her teaching Safe Babywearing Practices. 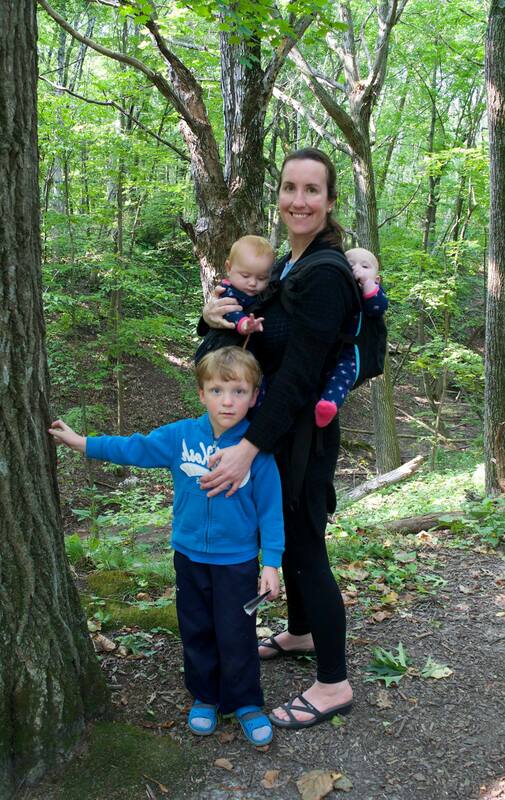 Alane has been babywearing since 2013 when her first daughter was an infant. She may be spotted teaching at Woven Wraps Class or hanging out at an evening or weekend Meet-up. She is also a personal color analyst with Colorgeek Studio. 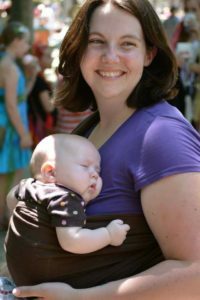 Sandy started babywearing with a Moby wrap when her daughter was a newborn in 2013. 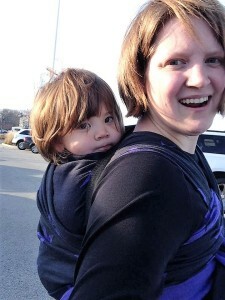 She became involved with Milwaukee Babywearers quickly and used the lending library to try a few carriers. She started attending the Wrap Intensives to learn how to use woven wraps, and over time transitioned from learning to teaching, and continued becoming more involved. You can find her at various Meet-ups, and teaching at Woven Wraps Class.